How many passwords do you have? If you are like most of us, you probably have one to log onto your computer network, one for your website, and one for your social network. You probably have a pin number for your bank account and a password that you like to use on your ecommerce websites. 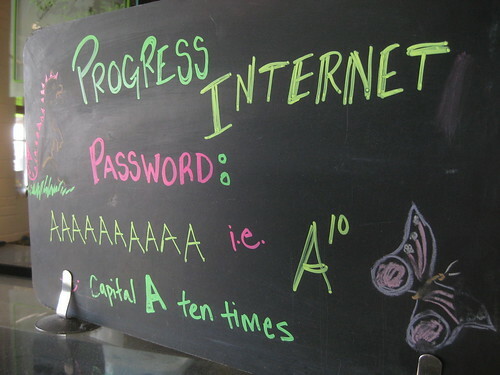 Do you use a different password for each? Probably not. Chances are that your passwords are similar and easy for you to remember. That creates a problem…. Why Not Share This Information You May Ask! In social networks such as these, it may seen innocent to share this information, but this is information that is commonly asked for to validate your identity online. Do remember filling out that form on an ecommerce site that asked for a security questions? These sites tend to ask questions similar to the 6 questions above. What about your password for your blog? Is that password the answer to one of those questions? If It Is Easy For You to Remember, Is It Easy For a Hacker to Figure Out? It is not that hacker are smarter than the average person, it is that the average person doesn’t make it hard for a hacker to figure out their passwords. A hacker typically will try all of the common passwords, and when they do not succeed, they move on. In many cases, they are using automatic systems to try and hack into your personal information. They can use these same automatic systems to ‘harvest’ your personal data out of social networks. What are the odds that they will be successful in harvesting your personal data? If you are using common information and sharing that information in your social networks – the odds are not in your favor. What is Known About You? My life is online. Your life is also online. Our businesses are online. Be smart about what you share – but also be smart about how you choose your passwords. Here is a great site that contains a lot of information about you. Take a look at what the “Internet” knows about you right now at http://www.pipl.com – then go and change your passwords. Great article! The “25 Random Things About Me” from Facebook seems harmless but it could be very dangerous. I will think twice about what I share on one of these next time thanks to you article. My husband has been preaching this issue since I started Facebook. It is fun to fill out those surveys, but you’re right … they are a hackers dream! I’m going to share this blog with my friends on Facebook right now so they can also beware of this danger. Thanks Steve! Thanks for the comment Kim! We are all becoming more social. With a little care, we can be social, but still keep our personal information secure for hackers.